Blog >> Why renting is better than buying? 91% of current tenants maintain it is their eventual aim to own their own home. However, only 8% are expected to choose to buy in 2015 (Right Move) due to an increasing demand for property, but why is it considered preferable to buy? •	Someone else is responsible for repairs to all fixtures and fittings and external masonry, so if a tile falls off your roof or the whole roof caves in, you don’t have to be the one balancing precariously up a ladder! 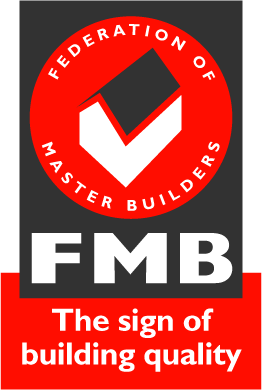 You don’t have to source and pay for builders. All you have to do is contact your landlord and it’s their responsibility to fix the problem using reputable tradesmen within a designated period. No fuss! •	What if you’re made redundant in today’s difficult employment climate? You better make sure you have savings to keep up with your mortgage because the most help you can expect from the Government is for them to cover your mortgage interest for a limited period. But if you rent, you can claim Housing Benefit (often to cover the whole rent) and that’s one less worry while you search for new employment. •	Many people believe renting is just throwing away money; they argue that a mortgage is cheaper than renting but this isn’t always the case. All rental properties are assessed by the Local Authority for fair rents. •	When you purchase a property, you buy it in the state you see it – it might need new electricity throughout or a new boiler. When you rent, there is a strict code that the landlord must follow to ensure your property is safe. Landlords must also carry out annual gas checks – this could be costly if you owned your home. •	Returning to the argument that you could pass your own home onto future generations, this is all well and good but what if it’s worth nothing by then? My father bought a lovely 2 bedroom property in the 1980s with the intention of leaving it to his children after death. Unfortunately 15 years’ later, many properties in the area were left empty and in a state of disrepair so the Local Authority decided to place a Compulsory Purchase Order on the whole estate. As a result, the value of my father’s home dropped significantly and he was forced out by the CPO, receiving less money than he originally paid for the property! •	If you decide you want to move out of a home you own, you have to go through the lengthy process of instructing solicitors, having your home valued, paying conveyancers etc. and it could be months/years before anyone shows interest in purchasing it. If you rent, all you have to do is give notice to your landlord under the terms of your contract and you can move straight out. You’re not tied to the same home for the rest of your life if you don’t want to be. •	“But private rental properties are only on short tenancies!” It is true that some landlords may only have properties available for short term leases but if you shop around you are sure to find someone who is happy for you to stay for the long term, so long as you pay your rent! So, if you’re wanting to move and you’ve never considered renting, it’s time to think about it – renting is a simpler, cost-effective way to still find a home to call your own. Visit A2Zestates.co.uk or ring us today to help you find a property to rent.